Stein Mart, a chain of discount clothing stores, and the Chick-fil-A fast-food franchise are planning to build outlets at the northeast corner of Victory and Fallbrook in West Hills. Scheduled to open in 2017 on the former site of Orchard Supply Hardware, Stein Mart and Chick-fil-A will join Floor & Décor across Victory Boulevard as newcomers to the local business community. A representative of Chick-fil-A is invited to appear at the October meeting of the West Hills Neighborhood Council’s Zoning & Planning Committee. All interested parties will be welcome to speak before the committee considers a request to expand the restaurant’s currently-zoned drive-through hours from 6 a.m.-11 p.m. to 5 a.m.-midnight. Detailed renderings of the restaurant can be viewed at the WHNC’s web site. A Stein Mart spokesperson declined to discuss her company’s plans for a West Hills store until early next year. Earlier in 2016, West Hills lost two of its largest retail stores when Sports Chalet and Kohl’s closed their doors at Fallbrook Center. 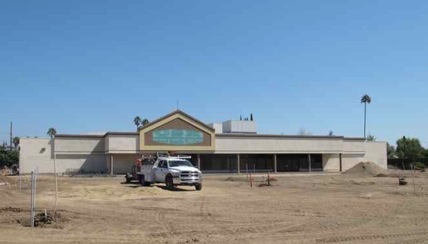 No word has come about new businesses moving into those sites, but an urgent-care medical facility is expected to open in part of the newly renovated building on the western edge of Fallbrook Center at Vanowen Street. Another new business opened in West Hills earlier this summer when restaurateur Antonio Bellissimo launched his long-awaited Café Della Vita on Roscoe Boulevard near Valley Circle Boulevard.